Forked Lightning is a 1 Mana Cost Common Shaman Spell card from the Classic set! 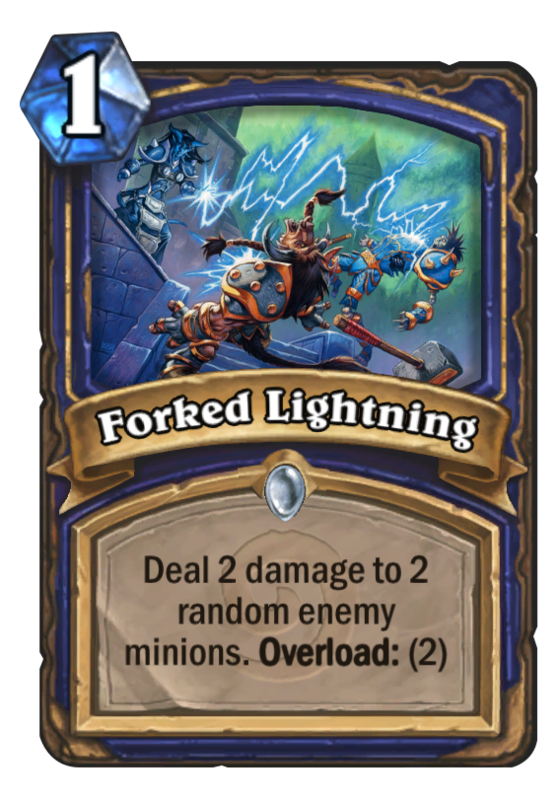 If you combine it with Spooned Lightning and Knived Lightning, you have the full dining set. Rating: 3.0/5. From 88 votes.